The best part of Halloween: Resurrection by far was Busta Rhymes. 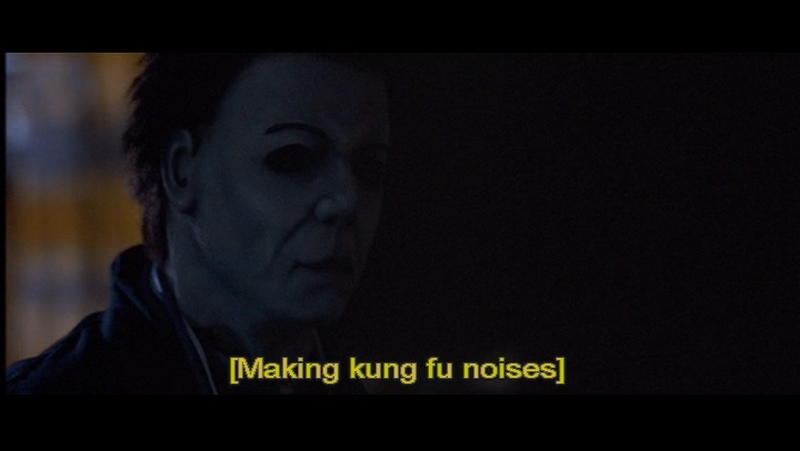 The man is an awful actor, but he’s so out of place in a horror movie that just the juxtaposition of Busta Rhymes screaming and throwing out kung fu poses against the stark, dead silent Michael Myers is funny to me. At the beginning of the film you can tell he was just reading his lines off the script as they went, but when the action started happening and he got a bit more freedom, he really helps the movie out. Hearing Busta Rhymes scream, “Trick or treat, mutha fucka!” at the height of the final confrontation is worth the price of admission alone. After Mr. Rhymes, though, the remaining cast of characters is much less exciting.